This is not my official Mother Goose Time post for the week. But I just feel like there has been so many great dinosaur ideas that I want to at least get pictures of them up in a post. I have posted quite a few on my Facebook page as we have done them. So here is a review. This first picture is actually of an Experience God Lesson. We are studying the story of the Talents. 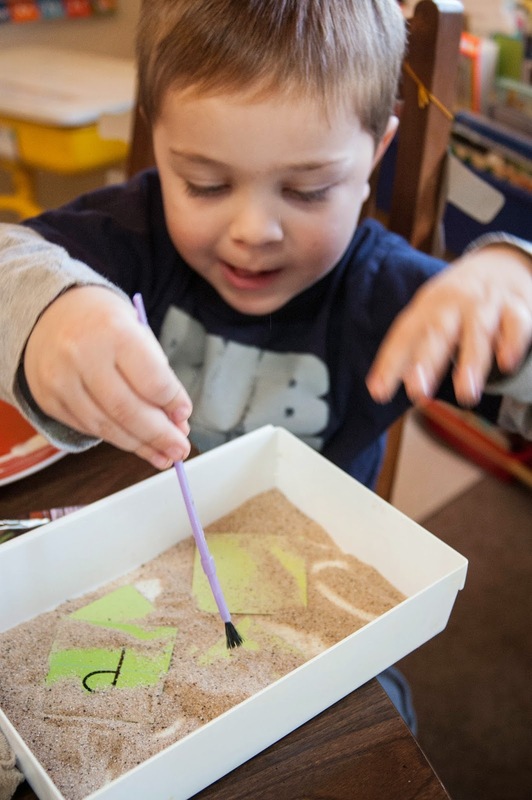 I buried some letters in the sand that we have been using off and on this month with our Dino Dig theme. 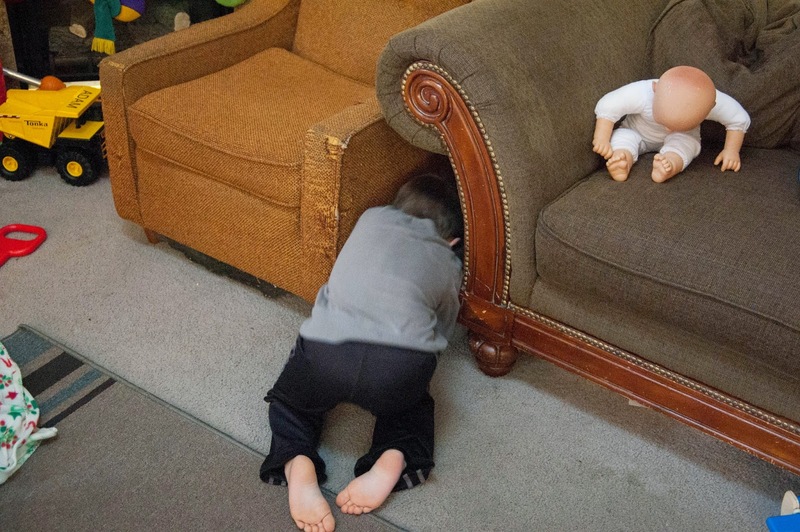 He was supposed to uncover a letter, tell me the letter and come up with something that starts with that letter that is important to him. First he uncovered P but said his bicycle was special to him. I did have a B in there so I encouraged him to keep digging. The question we asked was, what are you afraid to lose? Scripture reference: Mathew 25:18 But the man who had received on bag went off, dug a hole in the ground and hid his master's money. Explain: God does not want us to bury the gifts he has given us. He wants us to use them in ways to bring him glory. Peter also said his bicycle was important to him and he didn't want to lose it. I asked him how he was going to keep it safe? He said he was going to bury it. I asked him if it was buried, how would he get to ride it and enjoy it? He said he was going to dig it up, ride it and then bury it again. Of course you are buddy. Lachlan made a dinosaur collage. He was suppose to make the collage on egg cut out but he opted to color it instead. I asked him why he didn't make a collage and he said "there is just too many things to choose from I didn't know what to do." I thought this was pretty profound for my little man. I was glad he could put it into words. 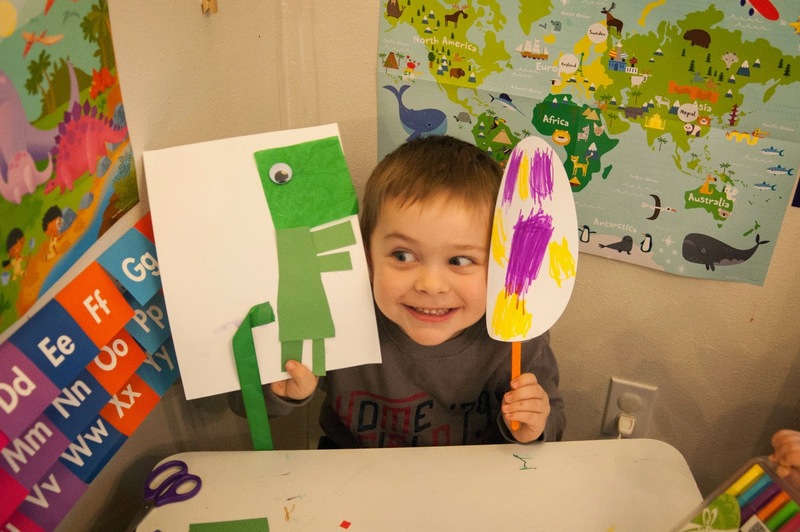 I gave him a little more guidance and he made this awesome T-Rex with a tail. It seems Lachlan is a bit like me, he get's overwhelmed when there are too many choices. 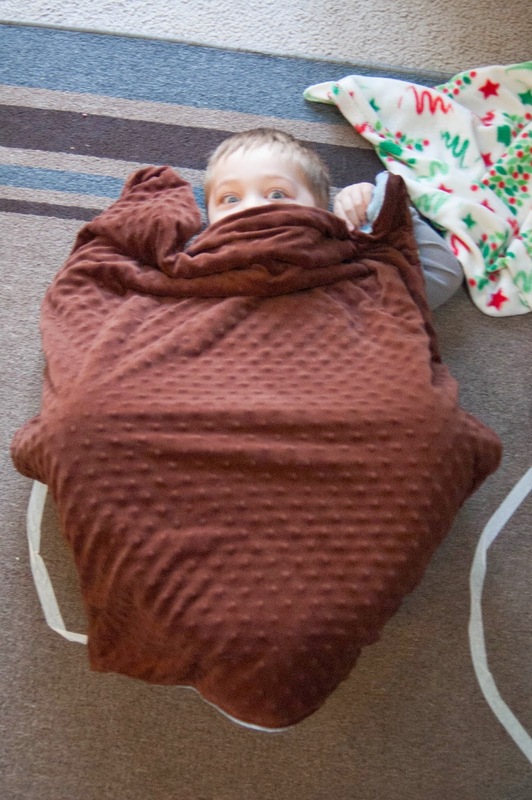 Next they hid under a blanket and pretended to be dino eggs. I set a timer and when the timer went off they would hatch. But they had to move quickly and run and hide to avoid predetors. 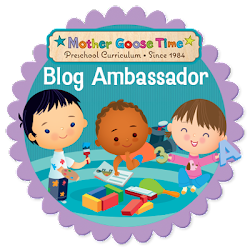 This was a great tool from Mother Goose Time this month. 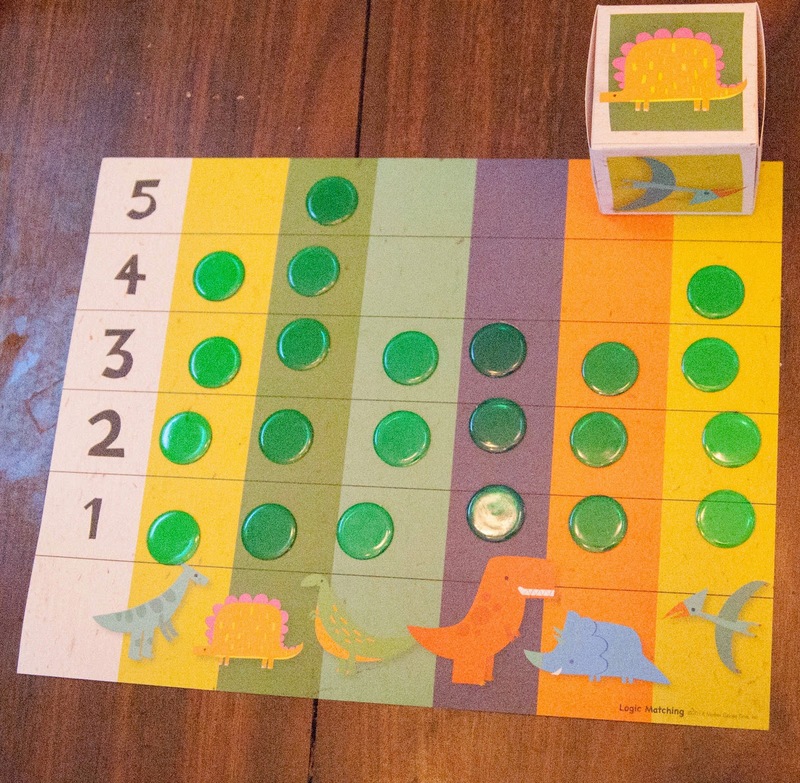 They rolled the die and used BINGO markers to keep track of which dino came up on the die most. They took turns rolling the die We got to talk about which had the most and which had the least. Great math terms. It was a big hit. I would like to laminate this one to use again and again. We had an awesome day learning all about Dinosaur tails. But I hope to dedicate a whole post to it. So more about that later. Now this was fun! 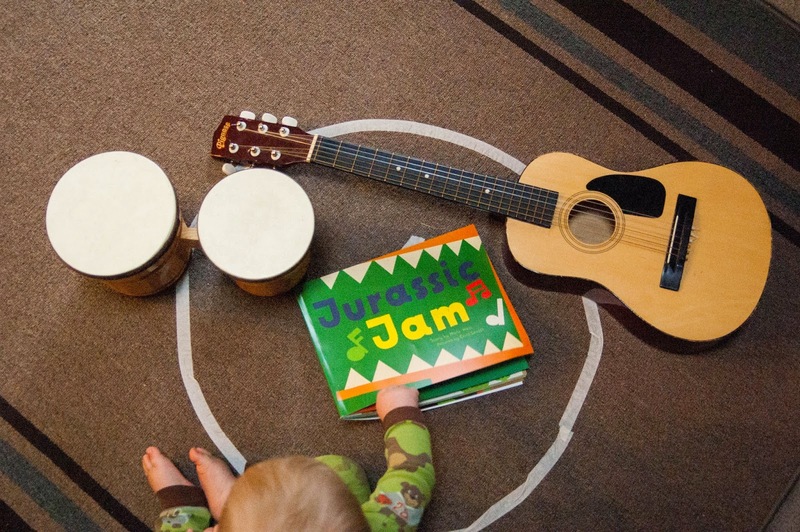 The boys were playing with our instruments and it made me think of our wonderful Jurassic Jam book we got this month from MGT. Each instrument has a beat written out and easy to grasp. So I thought I would look to the book for some pointers. The drum beat is written out as boom, ba, boom, boom, ba. So I had the boys hit the drum, 1, 2 pause, 1, 2, 3. It was so much fun watching their minds and body try to keep on rhythm. Next the guitar is written, wikka, wikka, wak, wikka, wikka, wak. I had them strum, strum, tap (just lightly tap the strings) strum, strum, tap. Music is such an amazing thing for the mind and soul. But I do not have a musical bone in my body. So this was a so helpful for me! It was great to be able to guide them in their use of the instruments rather than the normal "make a lot of noise" method they had been using. I think we might even use the instruments in a pattern exercise sometime soon!